Becky has been an Atlanta area resident for over 15 years. She grew up here and attended Georgia State University where she earned a degree in Psychology, a degree that proves very useful in real estate sales. Today she calls Buckhead home and is actively involved in Peachtree Society charity. 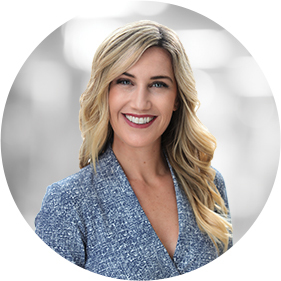 With professional roots in the service industry — culminating with a sought after position at the prestigious Club at Chops — Becky is a true people person and is dedicated to providing the highest level of client service. She possesses a keen ability to anticipate the wants and needs of her clients and direct them to the right property. This skill, paired with her exceptional client service know-how, sets her apart from her competitors. Becky is a master at networking, prospecting, and negotiating, making it easy for her to connect buyers and sellers and close deals. While her extensive knowledge of the metro Atlanta market is an invaluable asset to her clients. They also benefit from her consistent, hard-working approach to the business. A natural at real estate marketing and sales and an effective communicator, Becky ensures a stress-free and enjoyable experience for her clients. With The Collective she is backed by the best support team in the city. This gives both Becky and her clients the competitive edge. Whether in the market to buy or sell real estate, clients know Becky delivers.